With state-of-the art medical technology and a wealth of clinical experience, we ensure high quality service for each patient. In order to achieve the true beauty and safety for the patient, we use different strategies and methods, specialty for the ever increasing know-how through continuous education and training. 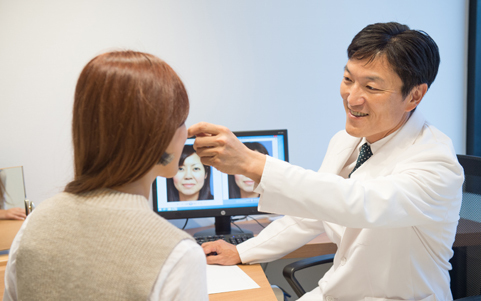 Director-Dr.Fukuta are Certified Physicians of Japan Society of Aesthetic Plastic Surgery, which requests at least three years plastic surgery and four years aesthetic surgery’s workingexperience at a university hospital, to receive this authorization. There are only 68 doctors in Japan who have this certificate. 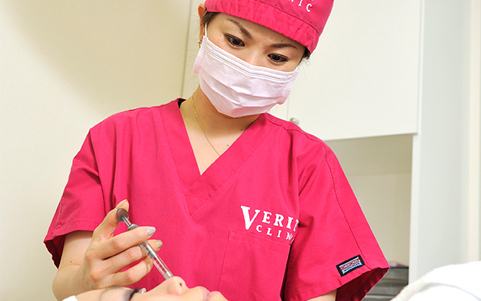 At Veriteclinic we use the very latest anaesthetic machines, identical to those used at university hospitals. Additionally, depending on the type of procedures performed, you will be able to choose either a local, intravenous, epidural or general anaesthetic. If the local anaesthesia is selected you will be fully conscious, and by further adjusting the combination, and concentration of the anaesthetic administered you will even be able to minimize the pain of the injection and sleep temporarily if you so desire. Moreover, effective post-operative pain medication will be provided so your recovery time will be as pain free as possible. Many difficulties in cosmetic surgery are as a direct result of poor and ineffective counselling. Here communication is key. At Veriteclinic we will spend time really listening to the patients. Some individuals have a clear vision and, “want to be this way”. In such cases we will explain in detail if this is entirely possible, and if it will be advisable for the individual. In other cases some do not have a clear idea of what they wish to achieve or envisage. Here we need time to discuss with the patient and use our antenna. In so doing, we can best give the patient what they are seeking. For instance many patients simply say they wish to, “show a high nose” in which case we may use a prosthesis. However, after further discussion during counselling we may learn that fixing the tip of the nose and or the wings will give the patient what they are really seeking. In summary, although some patients have a very clear idea of what they need, others often need deeper communication so we can really provide them with what they desire. This is where skilful high quality counselling is essential so we can achieve the very best results. Moreover, we will make it clear what results can be realistically achieved together with any possible scaring and risks which could be involved. Indeed, this is our Motto at Veriteclinic. “I want to be more beautiful”. “I want somehow to eliminate my current complex”. “I am concerned about my looks”. Indeed, there is a significant amount of negativity in our society concerning cosmetic surgery. Why do people undergo such procedures etc? 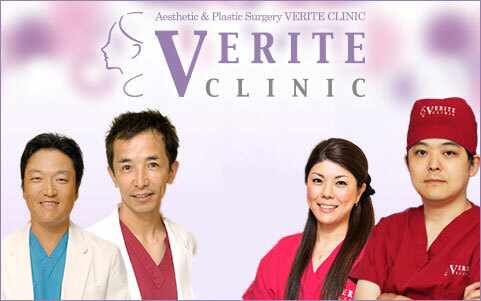 At Veriteclinic our aim is to make you a better version of your true self. In so doing many will also gain increased confidence, and self-esteem. Indeed, this is particularly true with those individuals who come to Veriteclinic for revision surgery. Revision surgery patients are those who have undergone surgery at other clinics, but who were not entirely satisfied with the results. This can cause great distress, and anxiety. We are happy to work with such individuals so as to relieve their tension and frustrations. We will work tirelessly to give these patients the results they desire, and so restore their confidence in the art of Cosmetic surgery. Many times such patients, who had revision surgery in Verite, have mentioned phrases such as, “My results are now ideal” or “My long cherished ambition is now my reality” At Verite we will work in todays’ cosmetic medicine to make such feeling the reality for all individuals.